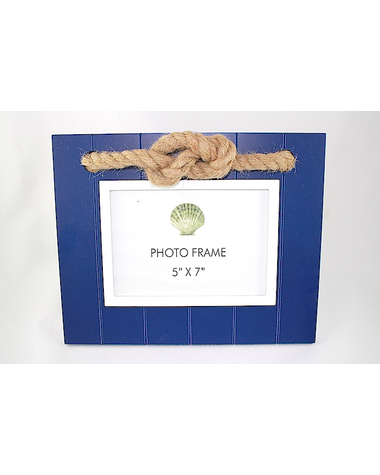 Navy and white wooden photo frame adorned with a sailors knot. 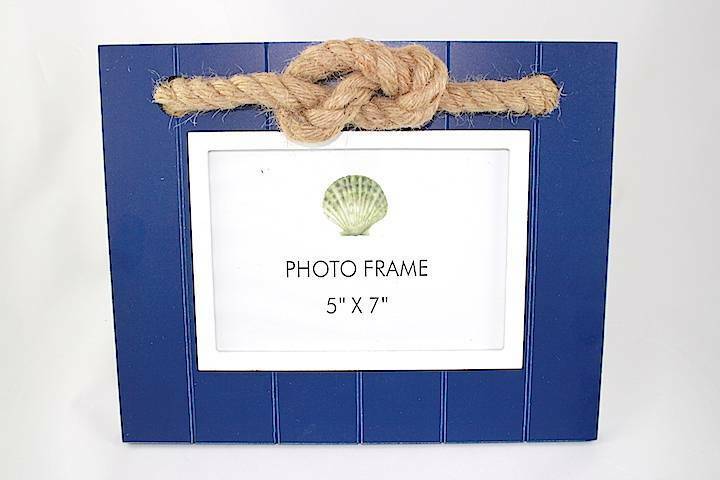 The frame measures 11" x 9" and accommodates a 5" x 7" photo. Makes a great hostess gift for your next lake visit or boat trip.